step 2: In the large 32 oz. 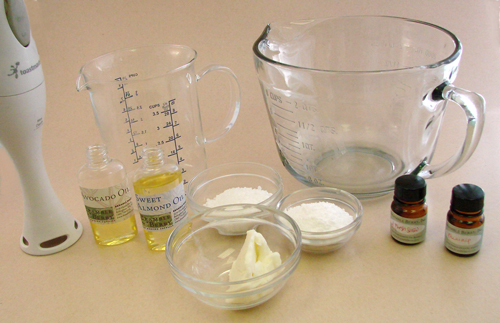 container, add the Sweet Almond oil, Avocado Oil, Stearic Acid and Emulsifying wax. Make sure this is all weighed out (no volume measurements). Put in the microwave on 30 second bursts to melt the E-Wax and Stearic Acid. 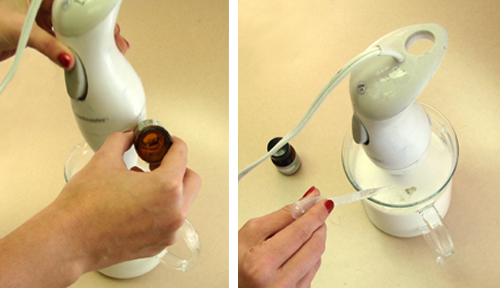 step 4: Warm up the distilled water and add it to your oil mixture. Vigorously stir with a spoon by hand to start. Then switch to the hand blender. The reason you warm up your water is because you don’t want your waxes to immediately solidify upon contact with the water. 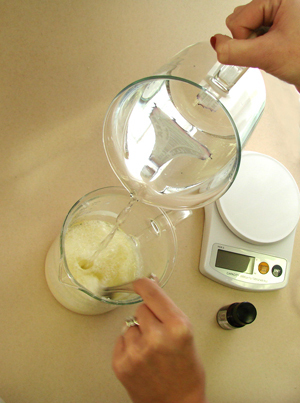 step 5: Once the mixture is fully mixed and emulsified (usually about 2 to 3 minutes), take the temperature and add the preservative and fragrance. 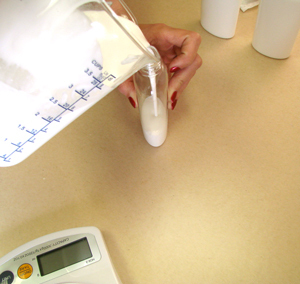 For Germaben II, Optiphen and Phenonip preservatives, you want the temperature to be below 140 degrees. Usage rates of all three of these preservatives start at .5% by weight. 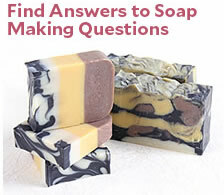 Fragrance usage for lotions is very low (remember, you don’t want to inadvertantly make a perfume!) so start small. 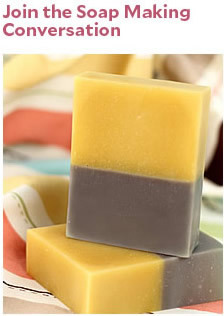 This recipe literally calls for .1 ounces of fragrance and that is more than enough to make a lovely smelling lotion. step 7: Allow to cool with the lids off. Then put on lids and label and impress your friends and loved ones with your handmade goodness!